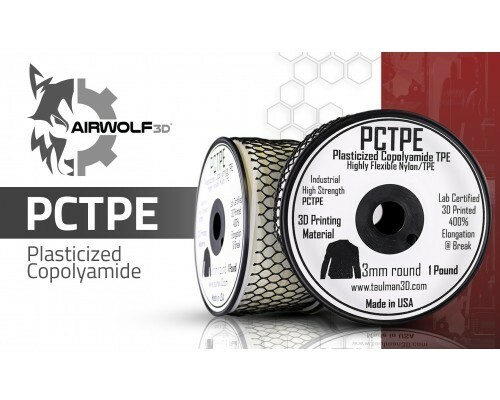 Airwolf – PETG – Tech City Place! 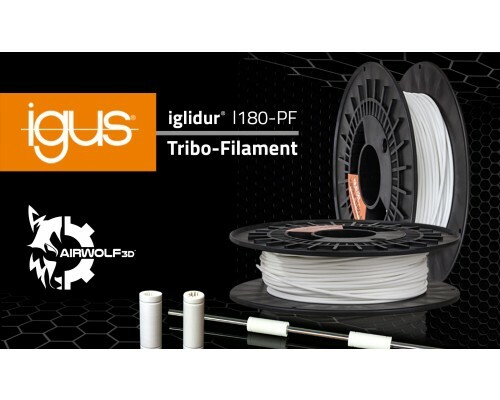 Airwolf 3D’s PETG is the newest addition to it’s growing lineup of engineering-grade 3D printing filament. 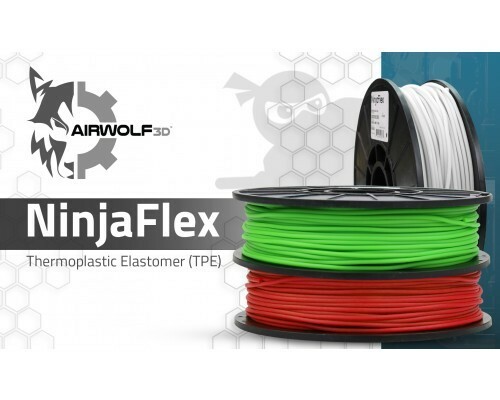 Airwolf 3D PETG Filament is an extra tough 3D-print material. 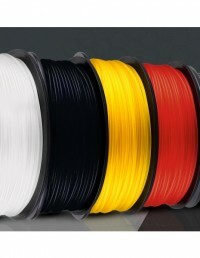 This is an extreme high strength filament and can achieve very sturdy and strong prints. 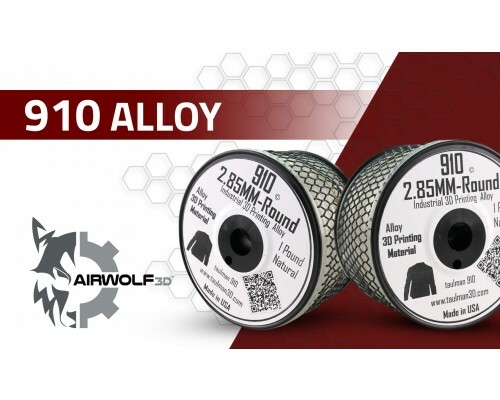 It has very low shrinkage, making this perfect for larger flat surfaces. 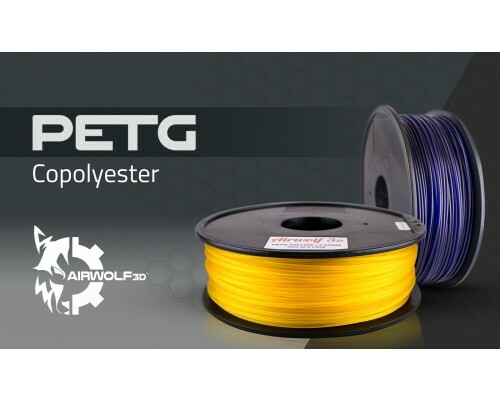 PETGs (or copolyester) are glycol modified PETs; the modification is done by adding a second glycol during polymerization. The resulting molecular structure is irregular and the resin is clear and amorphous with a glass transition temperature of 88 C (190 F). 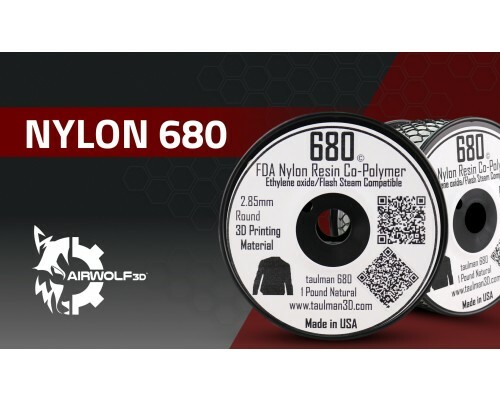 PETGs can be processed over a wider processing range than conventional PETs and offer good combination of properties such as toughness, clarity, and stiffness. 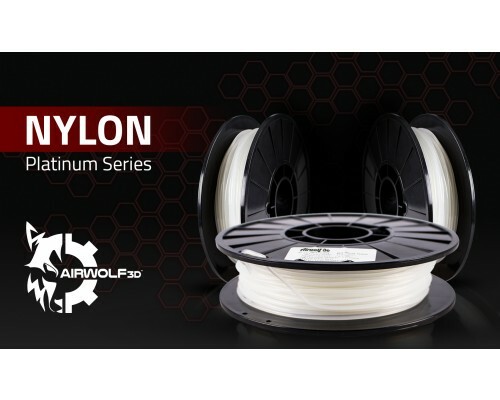 Airwolf 3D’s new PETG is a perfect alternative to ABS and PLA, offering higher strength, lower shrinkage, and a smoother finish. 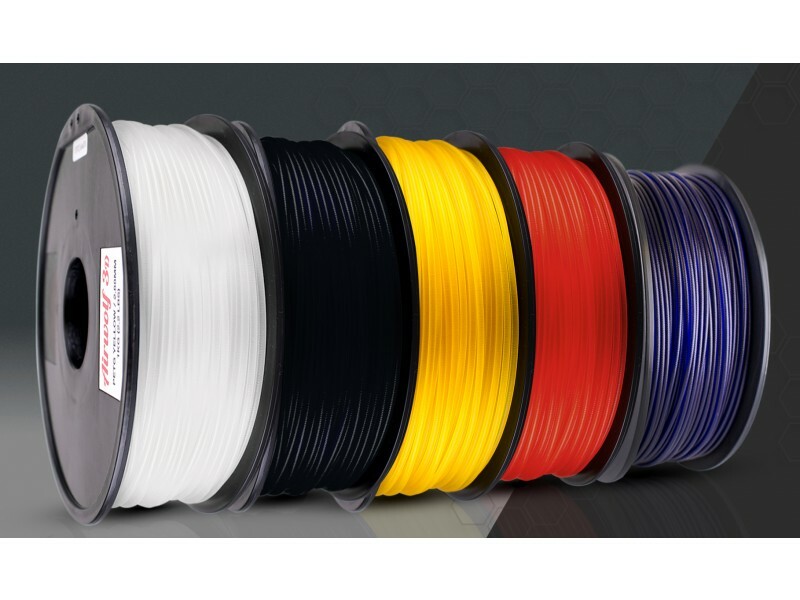 PETG has a higher melt temperature due to the high strength so we recommend printer temperatures around 230 to 260 °C.